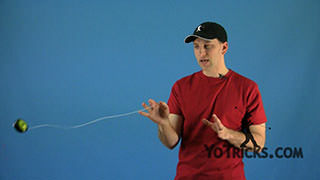 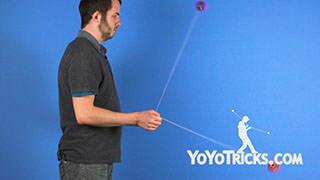 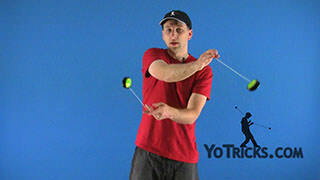 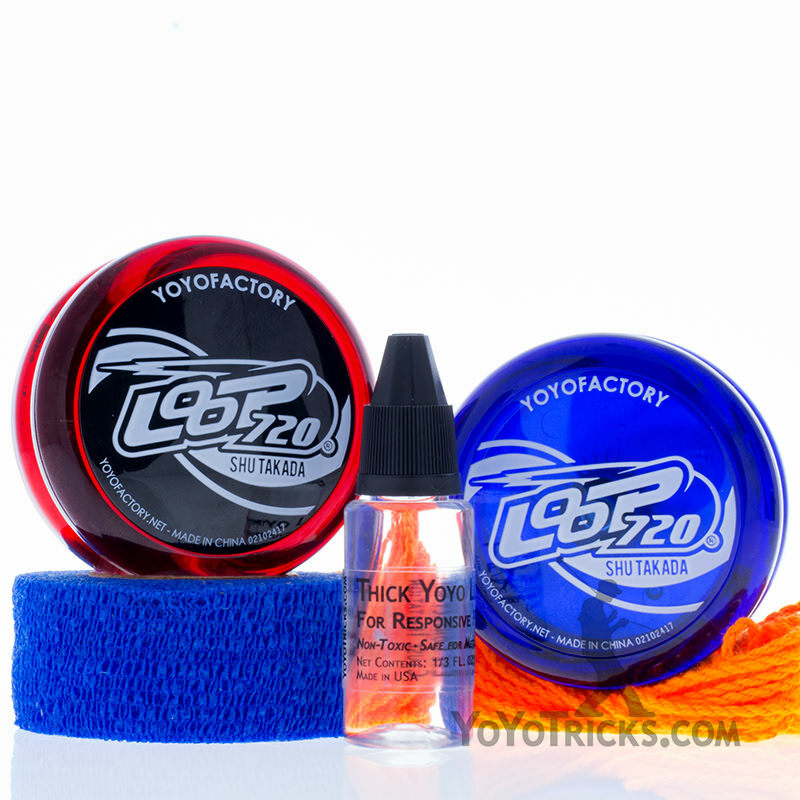 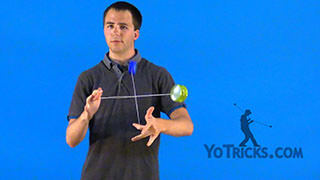 Two-handed Loops yoyo trick instructional video. 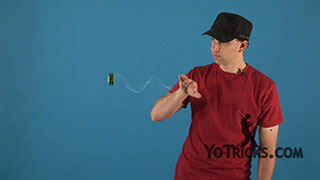 Two-Handed Loops Yoyo TrickThis trick I’m gonna show you are your two-handed loops. 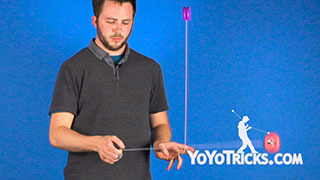 And, really, the trick is as simple as that; it’s just looping with two hands, but chances are this is the first looping two-handed trick that you’re going to learn. 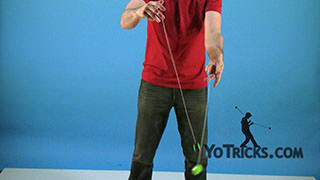 I’m going to give you a couple of tips that really apply to any two-handed looping trick. 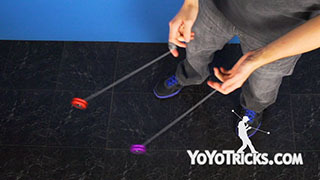 That will help you get started. 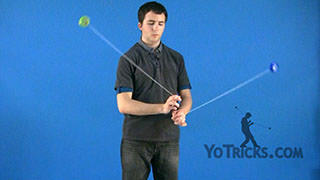 The first one is that you want to make sure that with your opposite hand you have really mastered the trick. 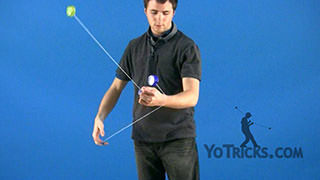 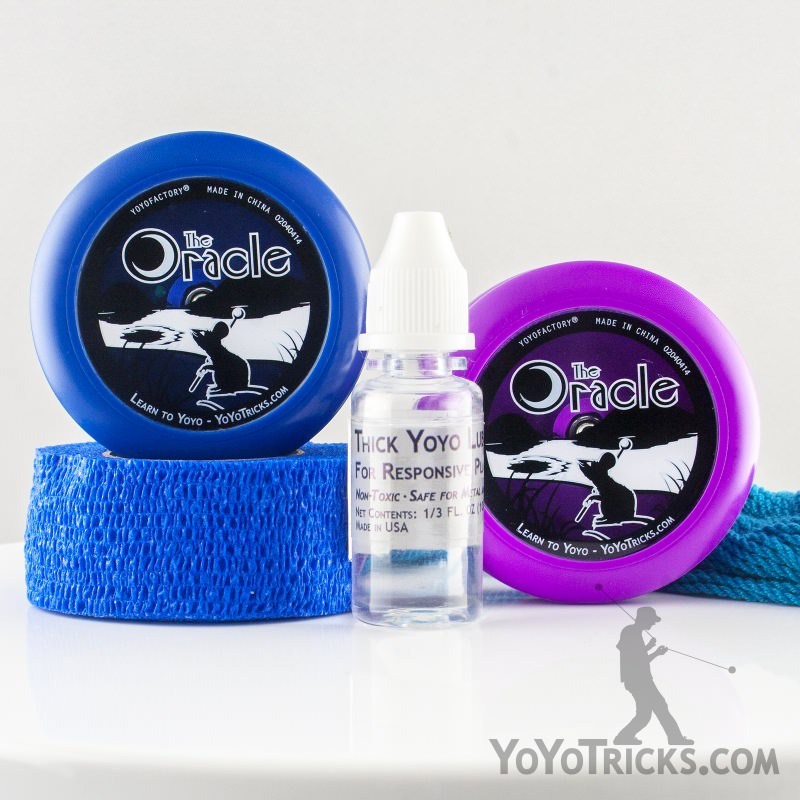 If you’re not hitting the trick very well every time then when you try to add the second yoyo it’s just going to compound it and it’s going to be a disaster. 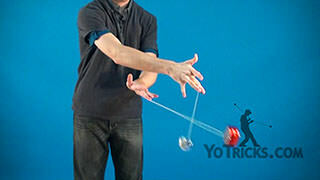 So, make sure you’ve learned that trick really well. 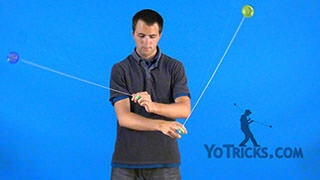 Once you got it, moving into two handed looping is not necessarily the easiest thing in the world. 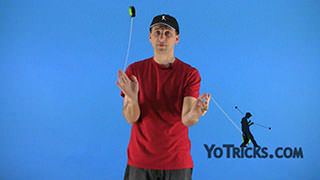 What I did when I started, and what I still do when I’m learning tricks, is I just get the motion going with my opposite hand and then once I feel confident about it I’ll throw in my more dominant hand. 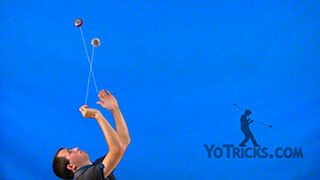 When you get better at it you can just go right into it, it’s no big deal. 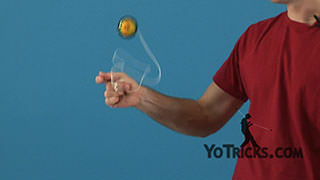 Another way that I’ve seen some people try it that works for them is they do both at the same time and that way your opposite hand can mirror the motion of your dominant hand to pick up the trick. 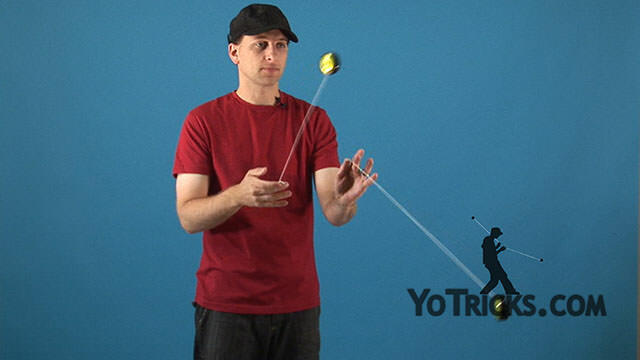 What you probably don’t want to do is get into this half alternating thing where you’re not perfectly matching them or perfectly alternating them because it makes it look like you don’t really have control of the yoyos, and to an audience that doesn’t really look right. 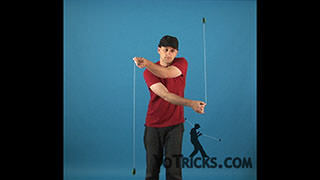 So, once you get better at the trick you can just pull them off just like this. 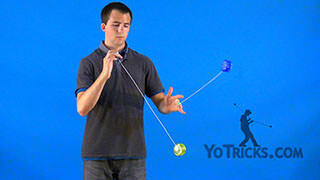 Just keep working on it, don’t give up. 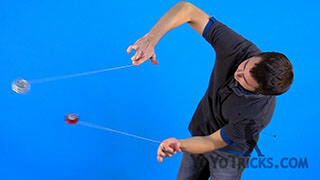 Those are you’re two handed loops.